PPC or pay per click is basically one SEO solution in which the advertiser uses this system to advertise the products and services they offer by placing ads on various blogs or websites that have high traffic. If you are a businessman and want to increase your sales traffic, you can use a pay per click system where you just need to pay the webmaster or the managers of websites and blogs on every click made by visitors. So in other words, it would not hurt for you to pay the webmaster for every one buyer, considering that the cost per click type of marketing system is very cheap and affordable, even companies as big as Google offer a service of this type with a very affordable cost range of about one hundred thousand dollars not limited to monthly, depending on how many request. Some of the popular ppc marketing companies in the online business world today include Google Adsense, Bidvertiser, LinkShare, Chitika, Media.net, AdBrite, Clickbank, Kontera, eBay, Amazon, Infolinks. The listed companies above can become an alternative to generate income for your business. The registration process is easy, just enter your email, verify, register web/blog and select the type of ad you want to show, whether it’s ad text or mini banner ads. You can go to the company website and just register. As for the advertiser, the company will present the media to promote your business and products in such a way that they are very effective and profitable. In this type of SEO, advertisers will then pay for each one unique IP address that clicks on the creative/promotional/publishing/advertising spread on blogs in the network ppc marketing company, this is to avoid the click- fraud/click-abuse. From the explanation above, we can see that this system has the potential to become an effective marketing campaign for increasing sales traffic of a company and, at the same time, it’s also quite cheap and affordable enough for business owners to optimize their profits by simply removing the capital for the promotion and advertising costs. Pay per click system not only offers a solution to the businessman but also allows websites to make money through advertising. However, if you work individually you’ll need a lot of clicks to make a lot of money because the price for every single click is about $ 0.01 to $ 0.03. 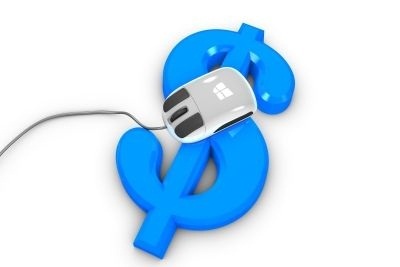 So you need thousands or millions of clicks if you want to become rich through pay per click. But you do not need to fear because companies using pay per click systems usually have other affiliates. By referring others as marketing affiliates, you will get a percentage of the profits your affiliates make, so the more affiliates you have the more money you can make. Emma Morgain is a Freelance writer who writes informative & creative articles for PPC Company USA and Technology. Her area of expertise is in writing articles related to SEO, PPC, SMM, etc.